Here when we speak of parent-teacher relationship, we believe that teachers have far more impact on a kid than a parent. The general role of schoolteacher and family is to teach children certain skills. Since both have the same goals hence they should co-ordinate with each other for the development of the child. Both should keep in mind that each new opportunity can help to establish the relation between school and the parents, thereby improving the situation of the child and their academic performance. It is up to the teachers to establish the first contact, which is, of course, the most difficult task for the teacher. In this task, teachers can be supported by their colleagues and due co-operation of the parents too. Parental involvement can free teachers to focus more on the task of teaching children. 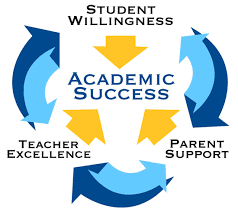 We also believe that this two-way communication between parents and school is necessary for students’ success. They should develop a model of co-operation which will bring the best results, thus it is essential to be aware of the objectives of this co-operation e.g. parents participation in the teaching and educational process, raising parents educational awareness and to know the parents expectations from the school which enables a better understanding of students by teachers and parents. One thing we should keep in mind that to achieve satisfactory results both parents and schoolteachers have to co-operate closely. To make the co-operation with parents by the teachers, teachers should take steps towards a good collaboration, engage parents in collaboration, create good atmosphere for conversation, which makes parents feel involved, show understanding and their concern, monitor the students progress and keep informed the parents, offer help where needed, as after all there is a common target of parents and teachers about the development of the child. To have a better understanding of the atmosphere of the school, social meetings should be organised on the occasions of celebrations of an annual day, etc., do not leave parents with problems- offer all possible help so that they are known and understood clearly and timely, ensure parents involvement in school life too. Simultaneously teacher should also know the family background/culture of the children in which he lives and if possible contact with the members of the family, inform parents about the child’s marks, his/her day to day activities on his “school diary” not just negative and also positive of the child should be reported on student diary. Whereas on the other hand parents instead of hiding any important information about their wards provide correct information of their wards i.e. About their homework, other activities at home, what their Wards like or dislike after the school hours and the contribution the parents provided to their wards in their studies. Parents should strictly follow the suggestions, guidelines of the teachers, as a result their deliberations which took place during parent teacher meet, parent should also help their children in completing their daily homework given by the teacher, tell the teacher honestly the way they are helping their children in their studies at home and also time devoted by them with the children in their activities. Parents should also at their liberty to write any suggestions, which will help the teachers in development of their children, as the effective educational work implies tight co-operation between parents and class teachers.